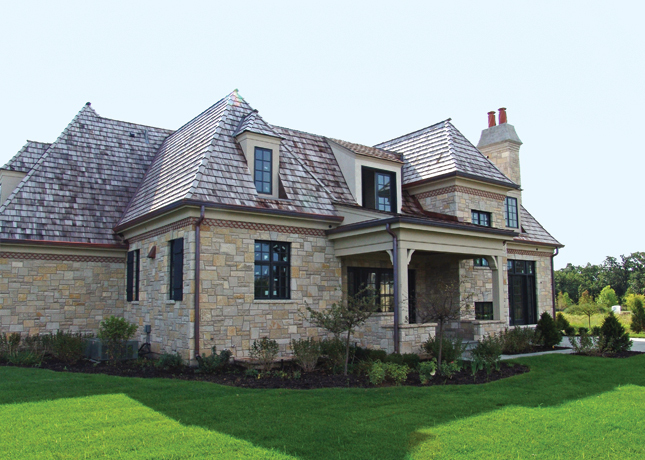 A custom home built in Middlefork Farm in Lake Forest, IL. 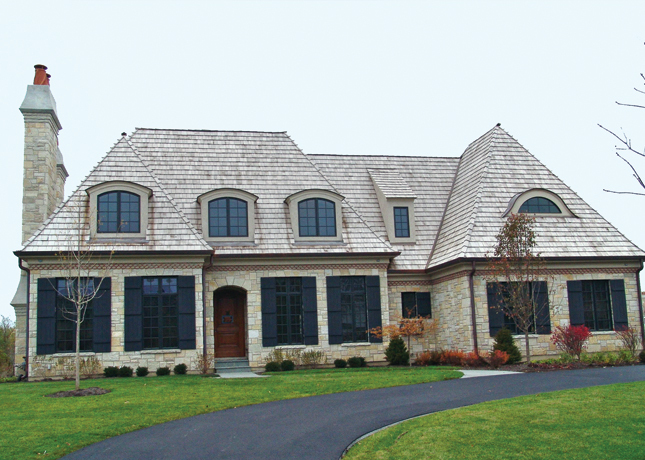 The stone exterior features a scalloped crown and the home has black windows and a cedar shake roof. 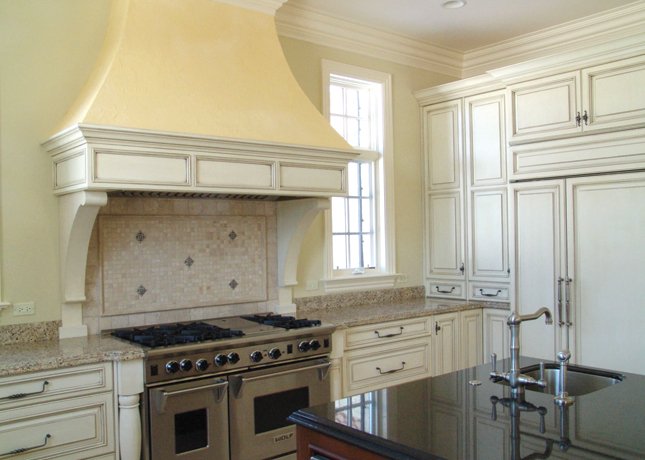 A beautiful kitchen features fine custom cabinetry and high end stainless steel range and custom hood. 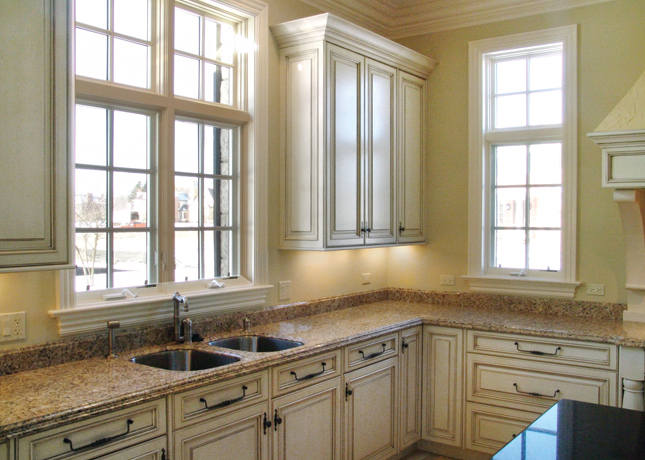 The island is done in dark wood cabinets and features a black stone slab. 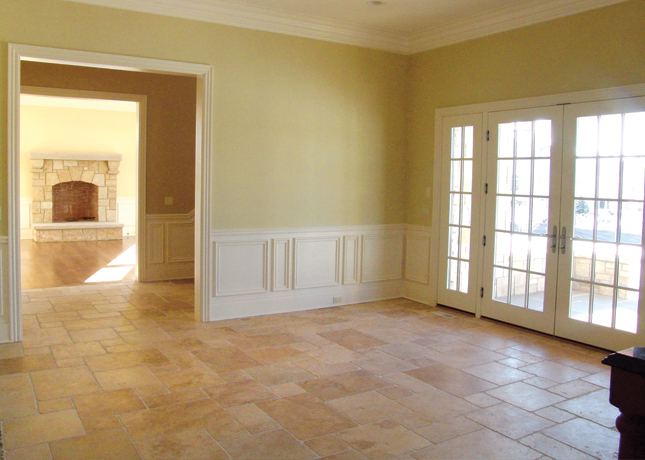 The floors on the first level include Versaille-patterned Turkish limestone and rift-sawn wide plank oak. 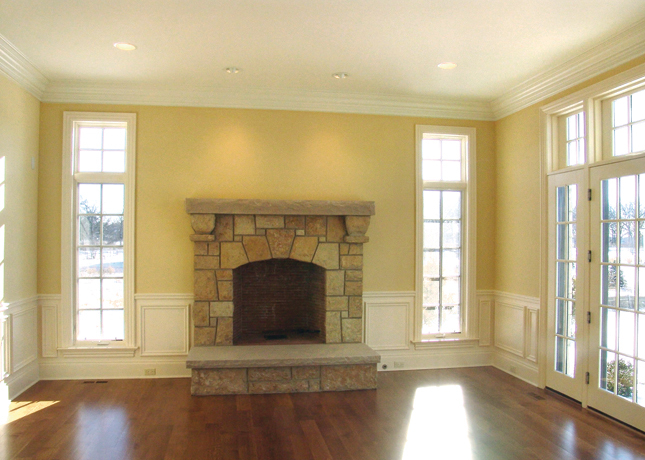 The library millwork, French oak, was custom built in France and shipped here for this project. The library was even installed by the French artisans who built the library. 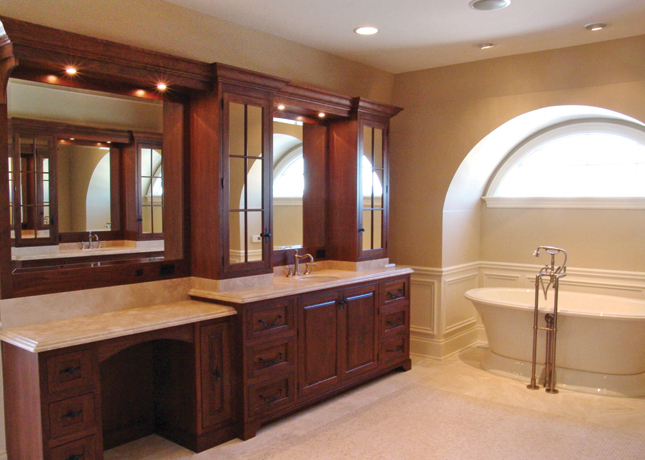 The spacious master bathroom features rich wood custom cabinets and a large freestanding tub and glass surrounded shower. 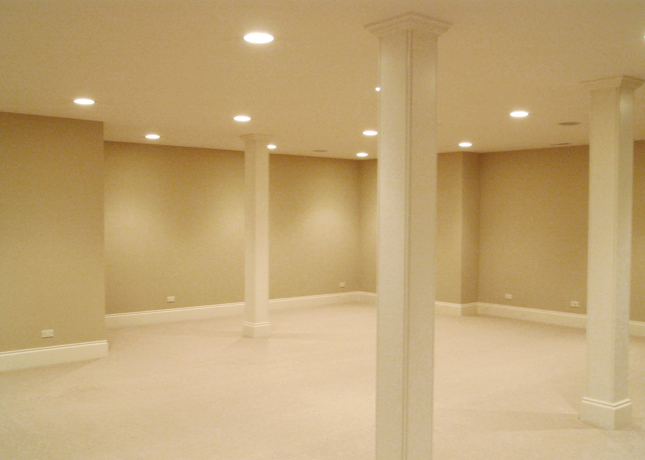 The basement includes radiant heated floors with the Turkish limestone once again laid in the Versaille pattern. 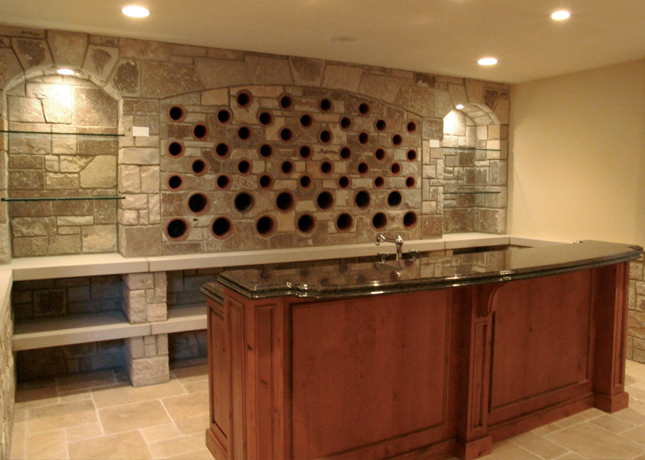 A custom bar features a backbar made of stone with lots of shelves and wine storage built in.